Biconvex lenses, made of BK7, are all symmetrical. They are recommended for virtual imaging of real objects, and for positive conjugate ratios from 0.2 up to 5. Biconvex lenses are all symmetrical, having equal radii on both sides. They are recommended for virtual imaging of real objects, and for positive conjugate ratios from 0.2 up to 5. Outside of this ratios range plano-convex lenses are usually more suitable. 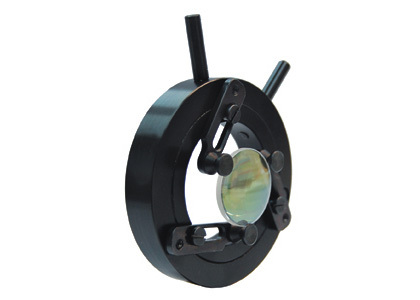 Biconvex lenses are used as magnifiers, objectives, some condensing systems. Since both surfaces contribute to the power of biconvex lenses, they have shorter focal lengths than plano-convex lenses of equal diameter and surface radius. Lenses may be anti-reflection coated. For required coating please refer to the COATINGS section. We can supply custom cutting, edging, coating or complete fabrication if required.